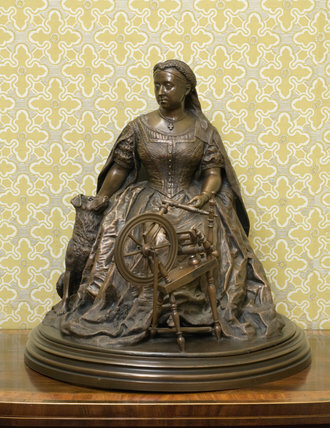 Bronze statuette of Queen Victoria at her spinning wheel, by Sir Joseph Edgar Boehm (1834-1890). This was prsented by the Queen to Disraeli at his final audience on relinquishing office in 1880. 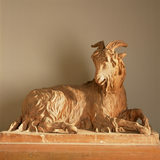 The statuette is in the Disraeli Room at Hughenden Manor, High Wycombe, Buckinghamshire.